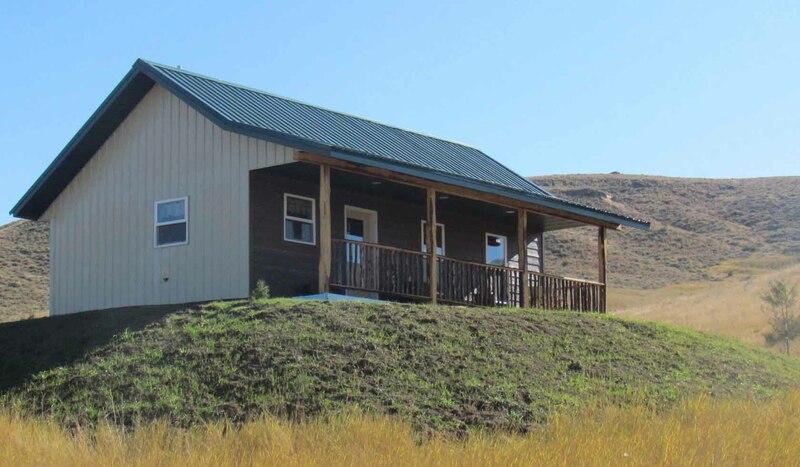 Plan your next vacation at our newly constructed cabin just off Highway 78, located conveniently between Columbus and Red Lodge. We are just minutes from some of the best adventures Montana has to offer. We are central to fishing, hunting, hiking, skiing, trail riding, whitewater rafting, the Beartooth Pass and Yellowstone. Horses welcome! Hunters...wild game processing available here while you stay! Our spacious, one-room cabin with a private bath offers all the comforts of home and comfortably sleeps up to 6 guests. We have a spacious kitchenette complete with refrigerator/freezer and all the cookware needed to make simple meals. Relax in the cabin and enjoy the rustic charm of antiques and pictures of days gone by, or sit on the porch and enjoy the breathtaking views of 4 mountain ranges, including the famous Beartooth Mountains. Dogs and Horses are welcome. We have an exceptional horse facility complete with box stalls and turn outs. Warm up in the round pen and enjoy a beautiful ride around the ranch or trailer your horse to one of the nearby trailheads. Absarokee is the gateway to many Montana adventures including fishing on the Stillwater or Yellowstone Rivers, whitewater rafting, hunting, hiking, horseback riding, golfing, ATV trails, snowmobiling or skiing the Montana Rockies. We are 30 miles from the scenic Beartooth Highway leading to Yellowstone National Park. The possibilities are endless.